← Let It Be New! Jesus oriented his life around love—not holiness, not purity, not strength or power, not truth or even wisdom, not even justice or peace. He oriented his life around love: devoted love for God and devoted love for others. And in doing so, Jesus demonstrated true holiness and purity, he showed true strength and power, he revealed true wisdom, he carved out the path toward true justice and peace. In other words, all the things the Law pointed to—holiness, purity, wisdom, truth, mercy, justice, peace—Jesus fulfilled them all in love. And likewise, when we orient our life around love, we too fulfill the Law. If we orient our life around striving for holiness or spotless purity, we will miss the fullness of God’s will for us. If we orient our life around some pure search for truth, we will miss the fullness of God’s will for us. If we orient our life around a relentless quest for justice, or even peace, we will miss the fullness of God’s will for us. But when we orient our life around love in the way of Jesus—devoted love for God expressed in devoted love for others—then we discover true holiness and purity, true strength and wisdom, true justice and peace. All the things the Law pointed to—right down to the last jot and tittle—all these are fulfilled in love. I know, I know. Love can seem like a pretty flimsy foundation for a life of holiness, or for the pursuit of truth, or for producing peaceful and just societies. But this is what Jesus teaches, and the rest of the New Testament confirms it for us. The question is, do we really believe it? Are we willing to put it into practice? Relentlessly, persistently, above all else, seeking to love God and others? In this is freedom—freedom from trying to abide by a list of rules, freedom from judgmentalism when others don’t abide by our list of rules, freedom to have our first and always response to others be one of delight and respect and trust and compassion, not anger or lust or greed or fear. Jesus’ yoke is easy and his burden is light. Over the coming weeks we are going to walk through each one of those antitheses Jesus presents—all those “you’ve heard it said/but I say to you” statements of Jesus. Each of those is Jesus putting this “love as the fulfillment of the Law” into practice. We’ll see how Jesus reinterprets the Law of Moses, even overturning it if need be, in favour of God’s way of love which is the whole point of the Bible. We’ll see, in some very practical ways, what this “love as the fulfillment of the Law” looks like in our everyday relationships and real-world struggles—in our conflicts, in our sexuality, in our religion, in our deepest desires. In the coming weeks, we’ll find that this way of love doesn’t mean ignoring sin—but it does profoundly shape how we think about sin. The way of love leads to true holiness, true purity. We’ll find that this way of love doesn’t mean being weak—but it does profoundly shape how we think about power. The way of love is the way of true strength. We’ll find that this way of love doesn’t mean ignoring injustice—but it does profoundly shape how we think about evil in our world. The way of love leads to true justice, true peace. It is, in fact, the narrow way that leads to life. 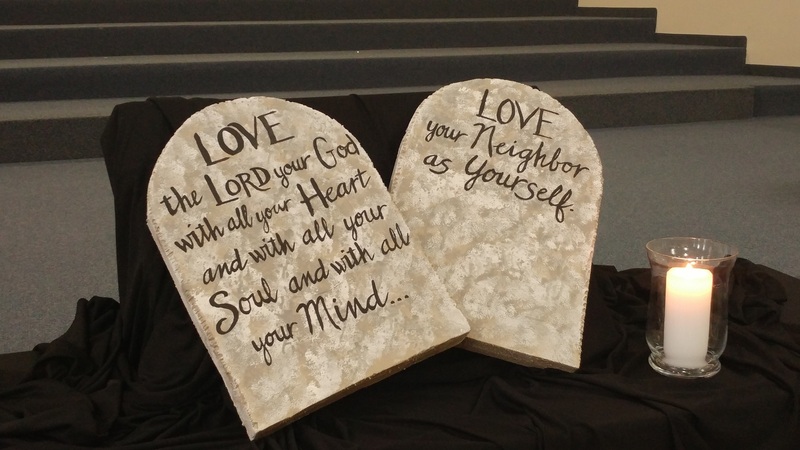 This entry was posted in Michael Pahl and tagged audio, golden rule, great commandment, jesus, law, love, sermon on the mount. Bookmark the permalink.